A private consortium has made a pitch to build the proposed $15 billion rail link between the Melbourne CBD and Tullamarine airport. The group, called AirRail Melbourne, said on Sunday it would contribute $5 billion to building the airport rail link, matching the funding commitments of both the Victorian and federal governments towards the project. The consortium comprises fund manager IFM Investors, Melbourne Airport, Metro Trains Australia (the operator of Melbourne’s metropolitan rail network) and Southern Cross Station, which is owned, operated and maintained by IFM under a public-private partnership with the Victorian government. “With the operators of both Melbourne Airport and Southern Cross Station in the consortium, and experience in international airport rail links, AirRail Melbourne is uniquely placed to accelerate the delivery of this city-shaping project for the benefit of all Victorians and visitors to the state,” AirRail said in a statement. One-way tickets would be “less than $20 in today’s prices”. Travel time from the proposed new underground rail station at the airport to the city would be 20 minutes. 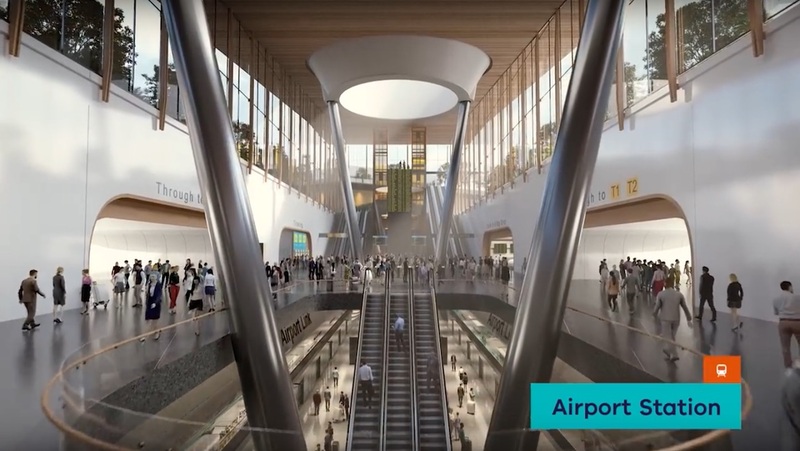 VIDEO: A promotional video from the AirRail YouTube channel on its proposed rail link to Melbourne Tullamarine. Metro Trains Australia acting managing director Leah Waymark said the Melbourne Airport rail link was an “essential part of an interconnected public transport service for our growing international city”. IFM Investors chief executive Brett Himbury said the proposal “represents a significant opportunity for seven million Australians to invest in a nation-building project through their superannuation funds”. “A partnership between the Victorian and Commonwealth governments demonstrates the universal support for this essential project which has transformed talk of a Melbourne Airport Rail Link into a viable project that drives productivity for the nation,” Himbury said. Melbourne Airport chief executive Lyell Strambi said the rail link would ensure the surrounding infrastructure kept pace with Tullamarine’s projected growth over the next two decades. “As we expand our runways and terminal facilities we also need world-class linkages between the airport, city and regional Victoria,” Strambi said in a statement. In July, Victorian Premier Daniel Andrews said his government, if re-elected, would match Canberra’s commitment of $5 billion towards the construction of the rail link. 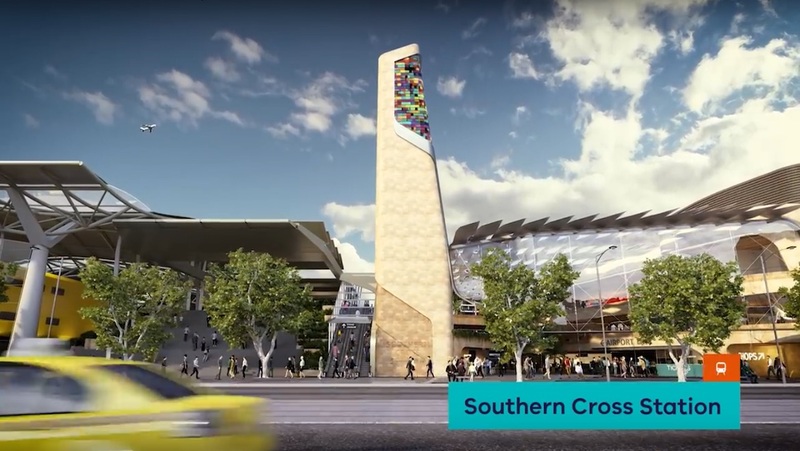 The State Government also at the time announced its preferred route was from Southern Cross Station to Tullamarine via a new rail hub in Sunshine, which would provide greater access to the airport for regional travellers. This would connect regional and metropolitan train lines, including the city’s proposed Metro Tunnel project, to the new airport link. In addition to new train tracks to support the airport rail link, the 27km route would also involve the use of tunnels to protect existing homes and businesses. Further, Premier Andrews’ statement said Rail Projects Victoria was expected to complete a full business case in 2019. The 2018/19 federal budget handed down in May noted the Commonwealth planned to fund the establishment of a train link between the Melbourne CBD and Tullamarine airport “up to $5 billion”. However, there was no budget allocation committed for the next four years, with the budget papers noting “specific funding arrangements, including an option for equity investment, [would] be settled at a later date and with an equivalent contribution to be provided by the Victorian Government”. The AirRail consortium said it would be ready to start work by 2020, two years earlier than currently planned. Australian Airports Association (AAA) chief executive Caroline Wilkie welcomed the AirRail proposal. “The AAA is delighted to see the private sector seeking to contribute to this transformational project,” Wilkie said in a statement. 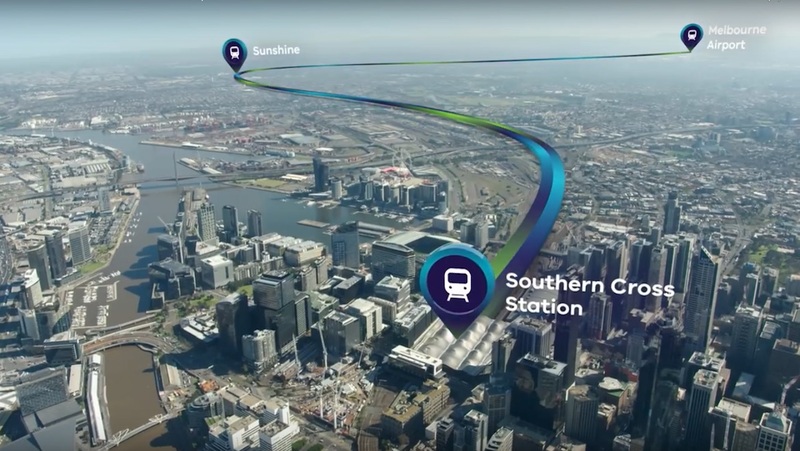 VIDEO: A look at the rail route from the Melbourne CBD to Tullamarine airport from the Victorian government’s Rail Projects Victoria YouTube channel. $10b of public money and they still want $20 for a one-way ticket!! I’d like to see how the cost-benefit stacks up if this really costs $15b all up. Perhaps the people making these decisions should travel on the Brisbane Airtrain and see how under used it is. I have traveled on it and have had a carriage to my self, a lot of my fellow employees go to Brisbane and I am the only one that uses it. $15 billion to do what the Skybus already does so well slightly cheaper. There is a bus terminal near terminal four which is drastically under utilized because Public Transport Victoria (Victoria Government) along with others will not not commit to services. Better to spend resources on Bus lanes for the Tullamarine Freeway and the M80 Ring Road. London Heathrow has a bus station which has express services from all over Southern England and Wales plus the local big red buses. Public transport (buses and underground) in the immediate locality of the airport is FREE. The project is a great idea, and long overdue. It should have been planned and construction commenced when the airport was built. On the downside, a considerable amount of Federal and State money is required for the consortium to consider it viable. The mistake made with both Sydney and Brisbane Airport links, is the high cost of the fares to the cities. While it is true, it is cheaper than a taxi, Airport Railway stations have a tendency in this country to be way overpriced, hence the low patronage. If this isn’t a lesson to current day planners of Badgery’s Creek then we should just give up. $15 billion is an outrageous amount of money for something that should have cost only a few million dollars (late 60s / early 70s) if built across what was then by majority a ‘greenfield’ area. Previous generations of politicians and planners should hang their heads in shame. Current politicians should look at how many other worthwhile pieces of infrastructure could now be delivered with this $15 billion if previous generations hadn’t deferred decisions. The current generation of planners and politicians need to be reminded – that in the vast majority of circumstances when considering deferrment of infrastructure- almost all urban environnments becomes vastly more complex and not less complex with time; radical technological solutions are unlikely (just look at ‘Back to the Future’ or ‘The Jetsons’ and their take on possible advances in technology), and just because patronage is not there today doesn’t mean that it won’t be in the future. Planning visionaries like Bradfield would roll in their graves. Build it before you need it. The cheapest travel from an Australian Airport was Perth because rather than rely on the airport website with all the expensive options I looked up services on the local public website and found a regular service into the city. There is an assumption that because we can afford a flight it is alright to rip us off. What is forgotten is that in a country the size of Australia aviation is an essential part of the public transport system. All government contract should be made public for public comments before they are signed for by our representatives (?). A lot more transparency needs to apply to guarantee that the taxpayers are not ripped off by private corporations and their fifth collumnists in the government and these days even the public service or so it seems.